The Illinois Education Research Council hosts its 14th annual statewide Focus on Illinois Education Symposium, Thursday-Friday, Sept. 29-30, at the Doubletree Bloomington Hotel. Highlighting the schedule are two distinguished keynote speakers: Juan Salgado, president and chief executive officer of Instituto del Progreso Latino and 2015 MacArthur Genius Fellow; and Dr. Susan Dynarksi, professor of Public Policy, Education and Economics at the University of Michigan, a leading scholar on the optimal design of financial aid. Salgado will highlight Thursday’s luncheon with his presentation “When It’s Seemingly Impossible.” He has led Instituto del Progreso Latino since 2001. 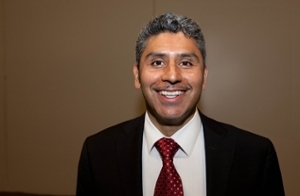 During the past 10 years, he has led Instituto through a period of national award-winning recognition and historic organizational growth spurred by a focus on creating partnerships, enhancing core competencies, leading innovation, providing quality services and participating in targeted advocacy. Under his direction, Instituto has established national best practice educational and workforce models. 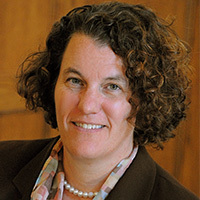 Dynarski will close the event Friday with her presentation “Five Myths About Student Loans.” At Michigan, she holds appointments at the Gerald R. Ford School of Public Policy, School of Education, Department of Economics and Institute for Social Research, and serves as co-director of the Education Policy Initiative. She is a faculty research associate at the National Bureau of Economic Research and the Center for Analysis of Postsecondary Education and Employment. She is a nonresident senior fellow in the Economic Studies Program at the Brookings Institution. For the complete symposium schedule, visit ierc.education/symposium/schedule. The mission of the IERC is to provide objective and reliable evidence for P-20 education policy-making and program development. Photo: Juan Salgado (upper right), president and chief executive officer of Instituto del Progreso Latino; Dr. Susan Dynarksi, professor of Public Policy, Education and Economics at the University of Michigan.